Today lets try to do a different thing. We all love to decorate our home, or even walls with different decorative colorful wall-mat or wall hangings. 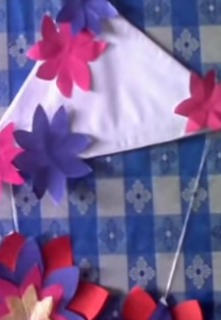 But you can save your money by making this decoration with your own hands in home with the waste materials. Isn't it cool!! So lets get to it. Lets start my new recycling project how to make a nice handmade wall hangings. 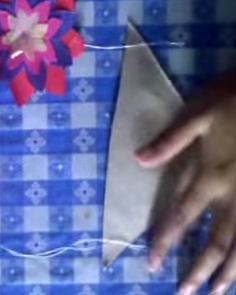 Now make your own handmade wall hangings step by step. 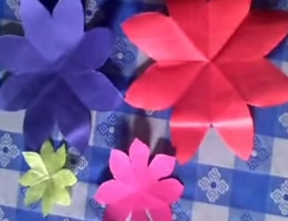 First of all take the color paper and cut it to make a flower using scissors. Make some off these of different shapes. 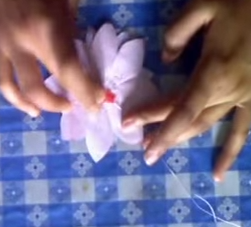 Than attach little flowers on top of big flowers one bye one using glue. Than this should be look like the picture. 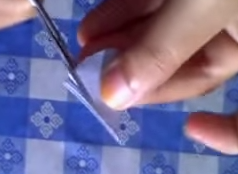 Now take another piece of paper and make some little circles using scissor. 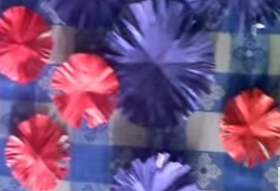 Than cut them to make another type of nice looking flower. 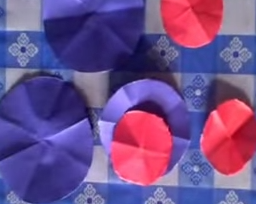 Make some of them of different shapes. Attach the little on top of big ones like the previous flower type. After all together these should look like this. 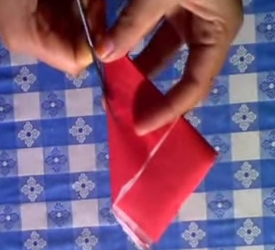 Now take a little hard paper cut it like a triangle and in two corner attach the thread with flower in the two corner. 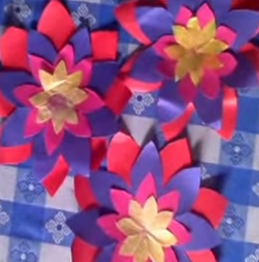 Than for making look beautiful attach some different shape colorful paper flower in it using glue. wow! you are almost done with your favorite handmade wall hanging. The last part is making it more beautifully decorated use some colorful stones, beads in the center of all flowers and look how wonder full this wall hanging is turning out to be. Now see after attaching in your room in the wall how wonderfully it looks like. Well its really easy to make. You can attach your own innovation.